Can we talk about how amazing Knoxville's weather is compared to Houston's weather? Good God almighty! The day we left San Diego two years ago, we boarded a plane wrapped in 73-degree sunshine, and three hours later, Houston gave us a grand initiation of 103 degrees with strangling humidity. This weather is a sweet reward after Houston beat us down for two years. The air is more forgiving, and 90 is considered blazing hot. While most in the blog world seem to be pining for fall, I'm enjoying the end of these summer days. Helping me tame some frizz and keep this long mane under control is that pretty Lilla Rose flexi clip you see up there which was sent to me by Katrina Burbank, an independent Lilla Rose consultant. Easy (and quick) to use, lovely designs, and does the job well. I was sold! I love my long hair, but it is rarely styled. I flat iron it or curl it, but it's always hangin' down like spaghetti. 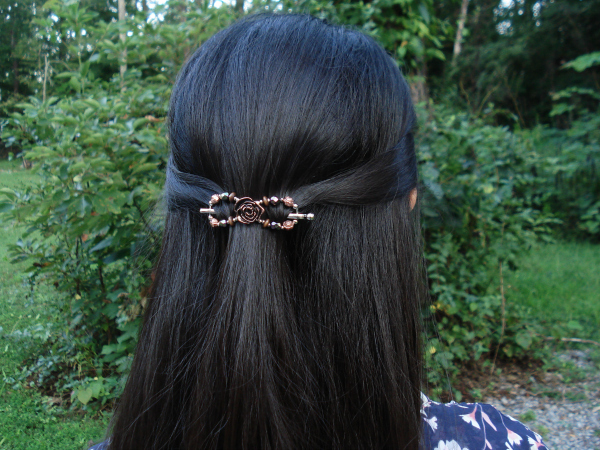 I've been rockin' the flexi clip for two weeks, because I instantly feel more put together. Sign up to access the store. Sizing & Styling Videos It is very important to watch the sizing video. You may exchange your clip for the correct size for free within 90 days. I have thick, coarse hair, and I am wearing an XS for a half-up 'do. 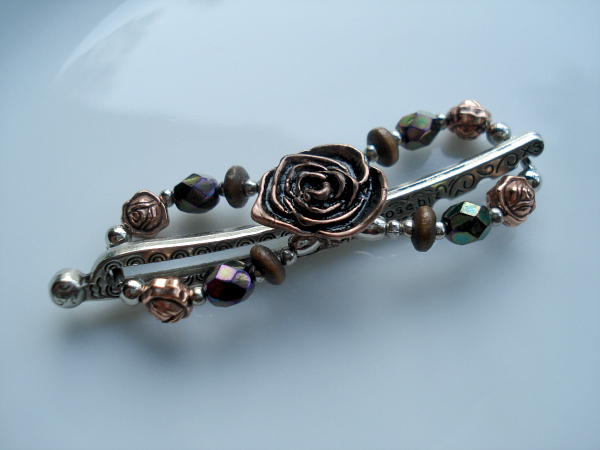 Katrina is giving away two Lilla Rose certificates, redeemable for a flexi clip of the winner's choice, valued up to $16 each! Get those entries in! Good luck! NOTE: Giveaway open to U.S. residents who are new to Lilla Rose. You're so beautiful! Love the color combo of your outfit and the hair clip just makes it THAT much cuter! I want my hair to be as long as yours...PLEASE! fun fun fun! i love the colors you picked for your clip, they are totally highlighted by your dark hair! My Housewife Days Are Over (For Now)!